Austal has designed and constructed over 260 vessels over more than 28 years, including some of the world’s most iconic commercial and defence vessels. You are welcome to download and view images from our portfolios, below. Important Notice: Access to this photo gallery is restricted and photographs are provided for media purposes only. All photographs contained within the gallery remain the copyright of Austal unless otherwise noted. Downloading an image from this website indicates your acceptance of these terms and conditions. 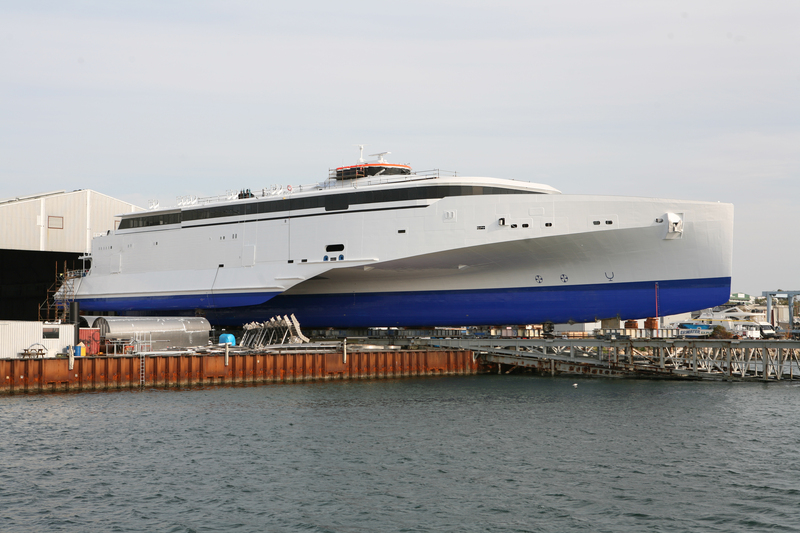 Images are provided for use in an article or media/broadcast about Austal. Photographs may be reprinted in news publications provided Austal is clearly acknowledged as the source. Copyright is not provided for promotion of other companies or organisations. 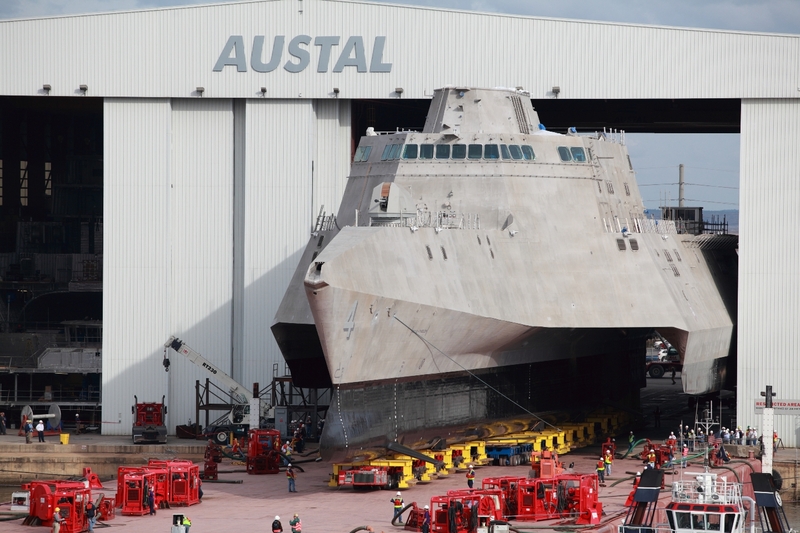 Austal USA successfully launched the second 127-meter Independence-Variant Littoral Combat Ship, “Coronado” (LCS 4). 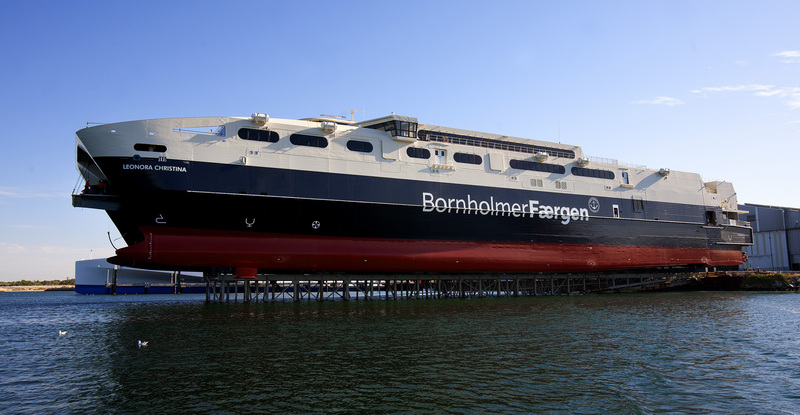 Bornholmer Færgen’s newest ferry, “Leonora Christina”. 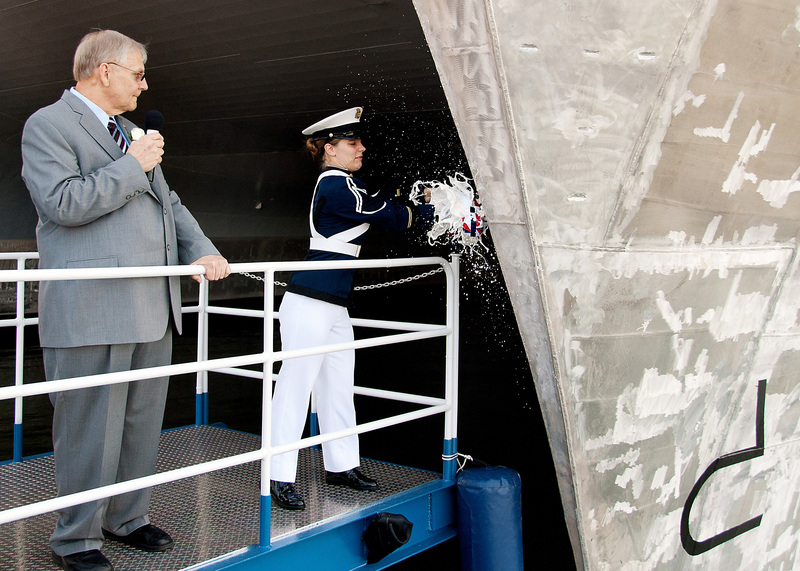 Catherine Wahlman, daughter of the ship's sponsor, Retired Army Chief Warrant Officer, Kenneth Wahlman, breaking the traditional bottle of champagne across the bow to formally christen the ship. 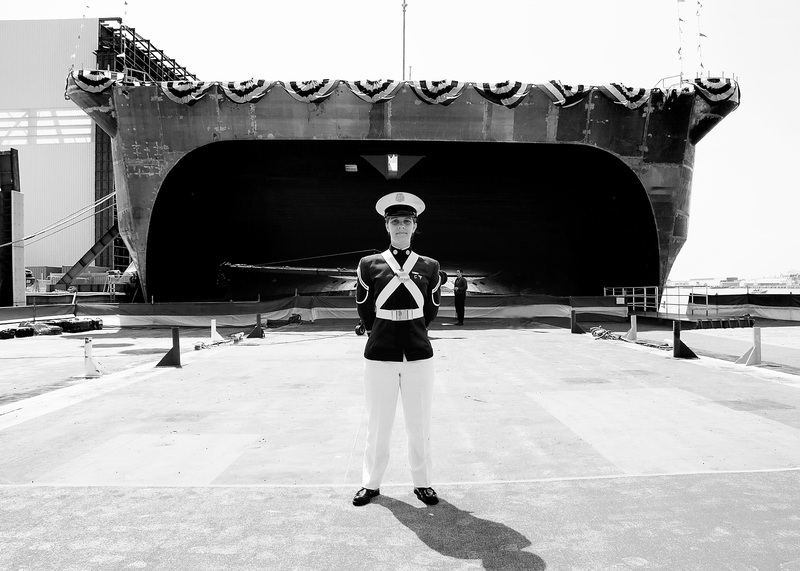 Catherine Wahlman, daughter of the ship's sponsor, Retired Army Chief Warrant Officer, Kenneth Wahlman, in front of "USNS Spearhead". 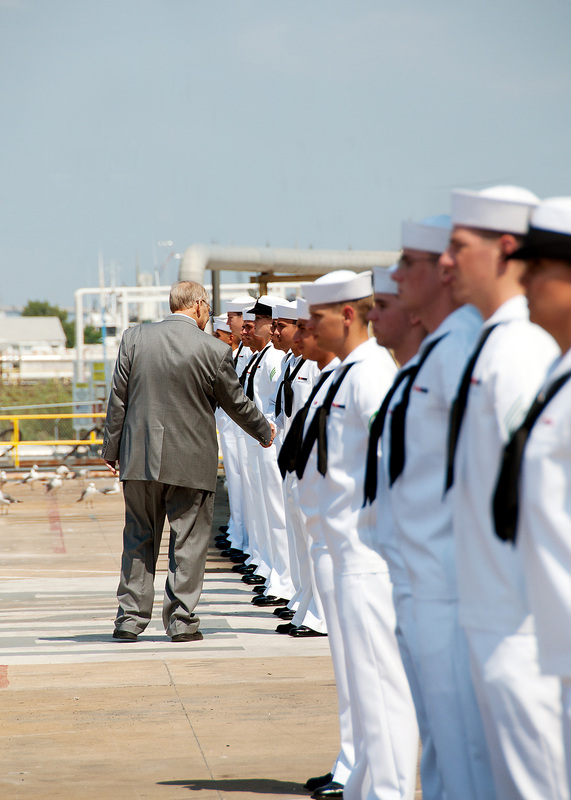 The ship's sponsor, Retired Army Chief Warrant Officer, Kenneth Wahlman, meeting with sailors at the JHSV1 Christening Ceremony. 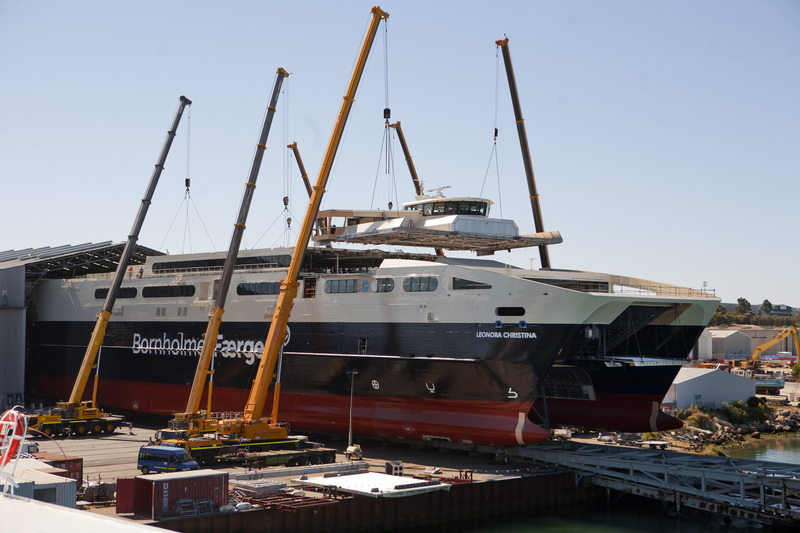 Austal's 102 metre next generation trimaran vehicle ferry prepares for launch at the company's Western Australian facility. 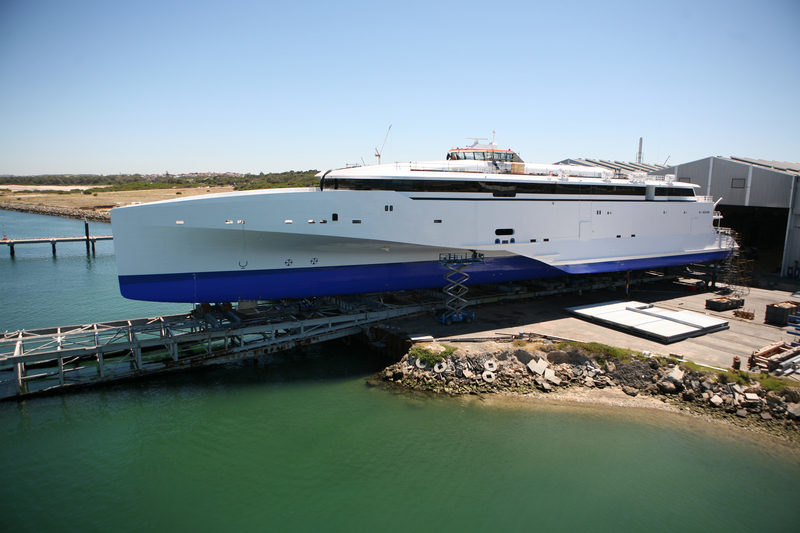 Austal's next generation 102m vehicle-passenger trimaran prepares for launch at the company's Western Australian facilities. The vessel is currently available for sale.